I have always liked pretzels over chips as a salty snack, but they got kind of boring. I tried the nuggets of flavored pretzels and those were too hard on my teeth. So, I kind of just stopped eating pretzels. Until, I tried Pretzel Crisps. What is a Pretzel Crisp? Pretzel Crisps are thin, crunchy pretzel crackers. They come in a variety of flavors, including new (I just noticed and will be buying them today!!) Holiday Indulgent flavors which include White Chocolate Peppermint and Dark Chocolate Peppermint. My favorite is the “Everything” kind. It mimics the seasoning of an everything bagel. Poppy Seeds, Toasted Sesame Seeds, Garlic and more. Other favorites include Buffalo Wing, Chipotle Cheddar and Garlic Parmesan. I actually used crushed Garlic Parmesan pretzel crisps to coat some boneless, skinless chicken breast, it was delicious! There is a lot of great information on their website about the Health Benefits of eating these versus potato chips and other snacks high in fat. They contain 110 calories per serving and no fat (10-11 crisps) compared with 150 calories and 10 gram of fat (1 g saturated) per one ounce serving for potato chips. Just keep an eye on the sodium content, my only negative is that I was surprised at how high it was. I found that it was mainly in the coated crisps , like the Buffalo Wing & Chipotle Cheddar. For more information visit Health Benefits …. I snack on the Original and Sesame every morning with my coffee because I am not a breakfast person , but I usually need something to take the edge off from the caffeine! I am not going to lie, the bag of Everything flavor is sitting next to me as I write this. 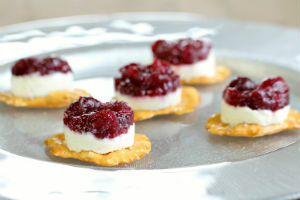 They are a great snack to have on hand. I can eat a handful of these and feel more full than if I ate a full bag of chips this size. 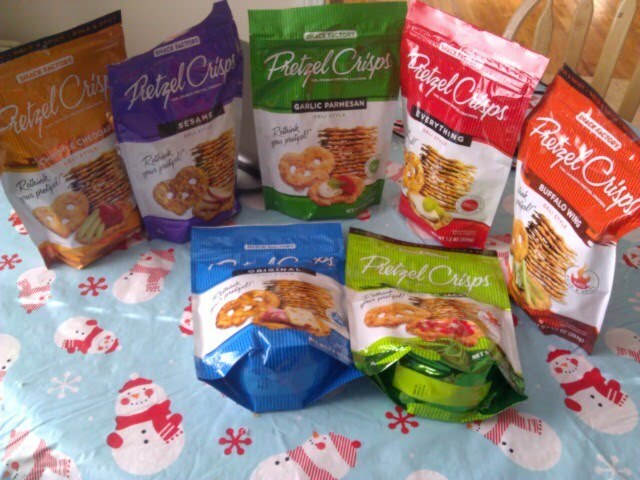 Pretzel Crisps are sold at almost any major grocery retailer you would be shopping at such as, Shaw’s, Walmart, Kroger, Wegman’s, Shop n Save, Hannaford, Whole Foods, and so many more. For the most part, I have found them in the Deli area, not the chip aisles. In my area they retail for about $1.98 a bag, which is VERY reasonable. Be sure to join the over 200,000 people that LIKE Pretzel Crisps on Facebook to stay up to date on new flavors, promotions and more. Wow those look so yummy! I never really cared for a thick pretzel, always loved the thin ones I will be trying these! All the flavors sound great for entertaining ideas, thanks for sharing!